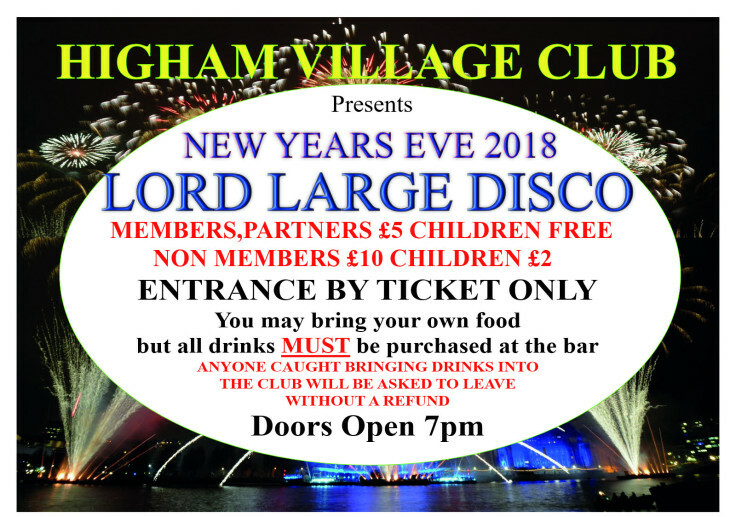 Higham Village Club. Doors open 7pm. Strictly ticket entry. Tickets are now on sale for Club members and their partners at £5 per person, Club members children are free. We will announce when tickets for non-members are available.